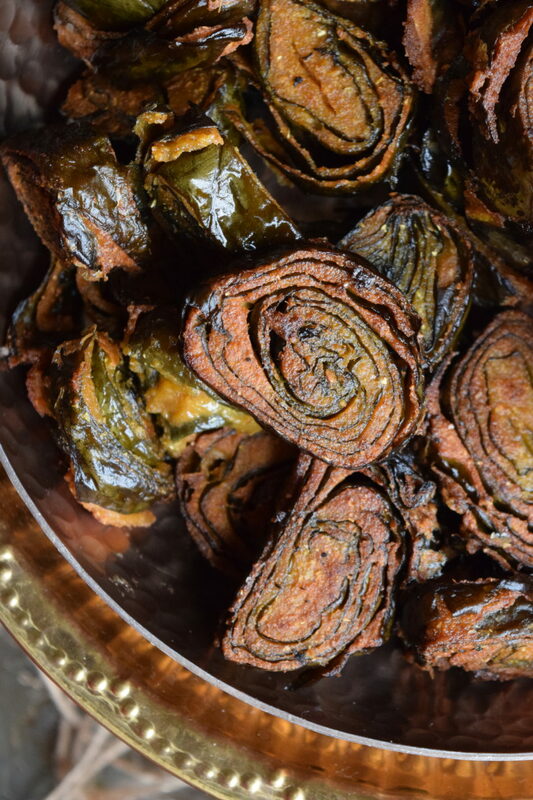 Pathrode is a traditional snack recipe from coastal Karnataka in India. 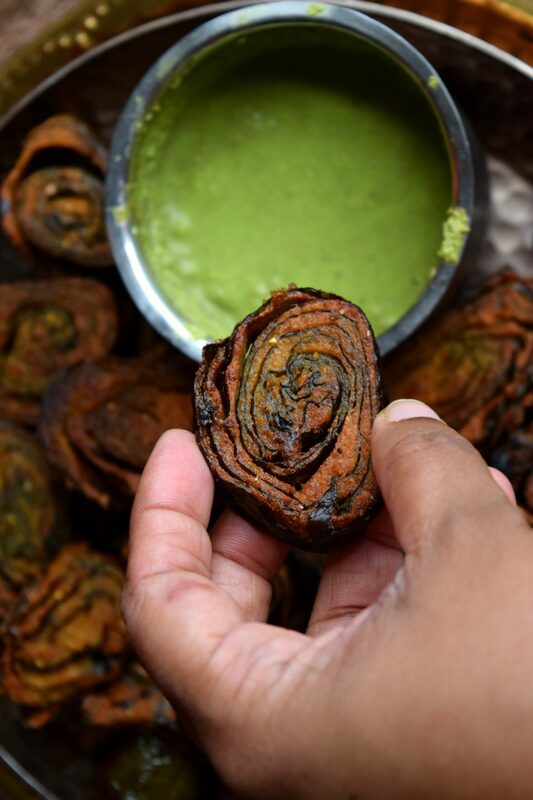 Colacassia leaf is smeared with spiced lentil coating, then steamed and shallow fried. Making these dish bought back so many wonderful memories that I was moist eyed all the time. This dish has been an integral part of my childhood and I am just glad that I finally recreated it for all you readers at Cookilicious! I practically lived in my neighbors as a kid. They were Maharashtrians and they were like family to us. Having spent my most impressionable years with them, my sense of food and lifestyle is very much similar to theirs even today. Whenever there was any joyous occasion in their family, this dish was made and we would get a handsome serving of it as always. It was like an unspoken rule in our apartment. Anytime anyone would prepare a special dish, it would get distributed among all the neighbors. Even though the quantity would not be much, we all would relish it. That was an important lesson in sharing we all learnt subconsciously and it stays with me even today. Whenever I make an interesting recipe, I like to share it with my non-Indian neighbors. It’s just my way of returning back the favor! 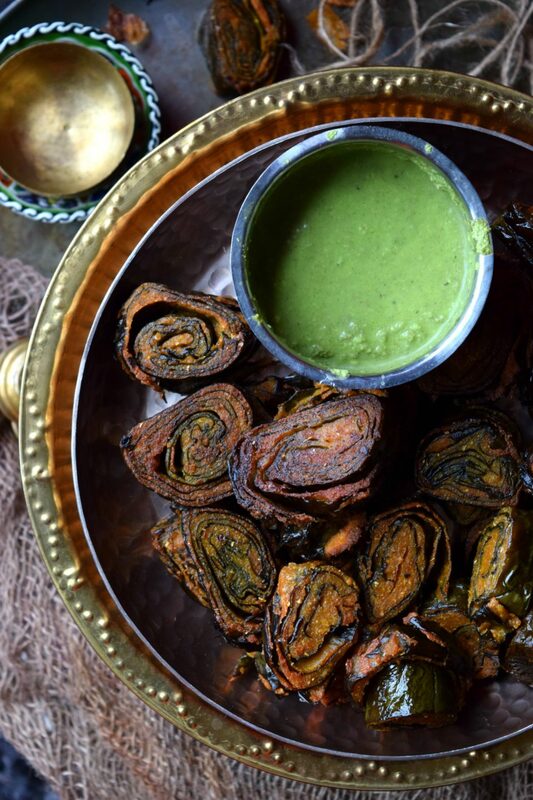 It’s truly amazing how a certain dish can bring back so many wonderful memories and evoke a million emotions. 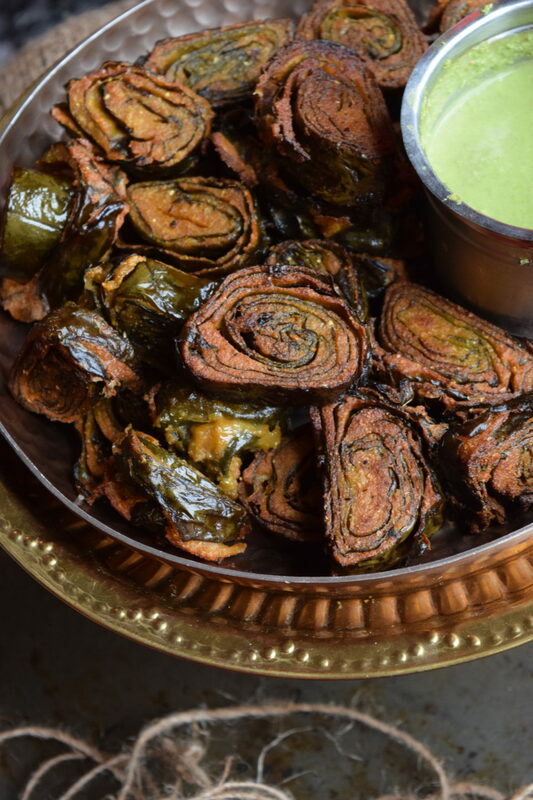 Now coming back to this particular dish, it has some variations in the masala according to the state its made in. 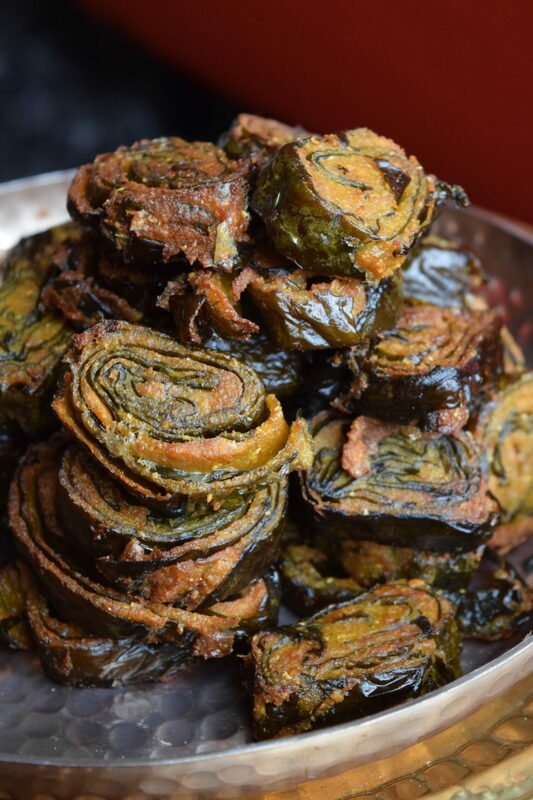 Like in Mangalorean cuisine (coastal Karnataka) its called Pathrode, in Maharashtrian cuisine its known as Alu Vadi and is called Patra in Gujarati cuisine. Its either a chickpea flour base or rice with lentil base. and salt. Grind this to a thick batter consistency. Do not add too much water when grinding. Now comes the interesting part. Smear the ground masala on the largest leaf. 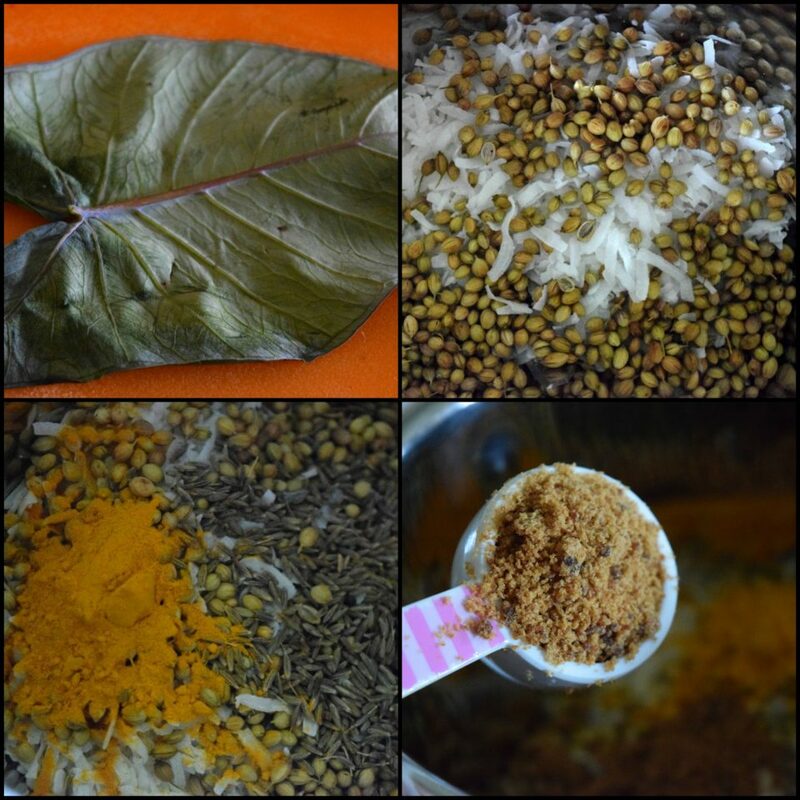 Place another leaf over it and again smear the masala all over it. Layer 3-4 leaves in the same manner. Fold the sides of the leaf towards the center and then roll along length of the leaves to make a roll. After it is rolled, smear some masala on top of it as well. Place it in a steamer and cook it for 10 minutes. Slice the rolled cooked pathrode evenly and shallow fry them golden brown. Serve warm. You can also enjoy the steamed pathrode as is. It tastes delicious as does the fried version. It just depends on what you like more. I personally have always preferred the fried version. It crunchy, crispy and it tastes delicious. As a kid, I could eat so many of this in one sitting, that I would skip my meal and not regret it. With exciting shows like Game of Thrones, Quantico, Stranger Things , etc streaming now, bingeing is an official American pastime and it only makes sense that we have our own set of snack recipes like this one ready. Whip ’em up, settle in, and let the marathon begin. Wash and soak the rice and dal in water for 3-4 hours. Clean and wash the Colacassia leaf well. With a knife, remove the stem & the large veins of the leaves. This will help them cook fast and make them less itchy. 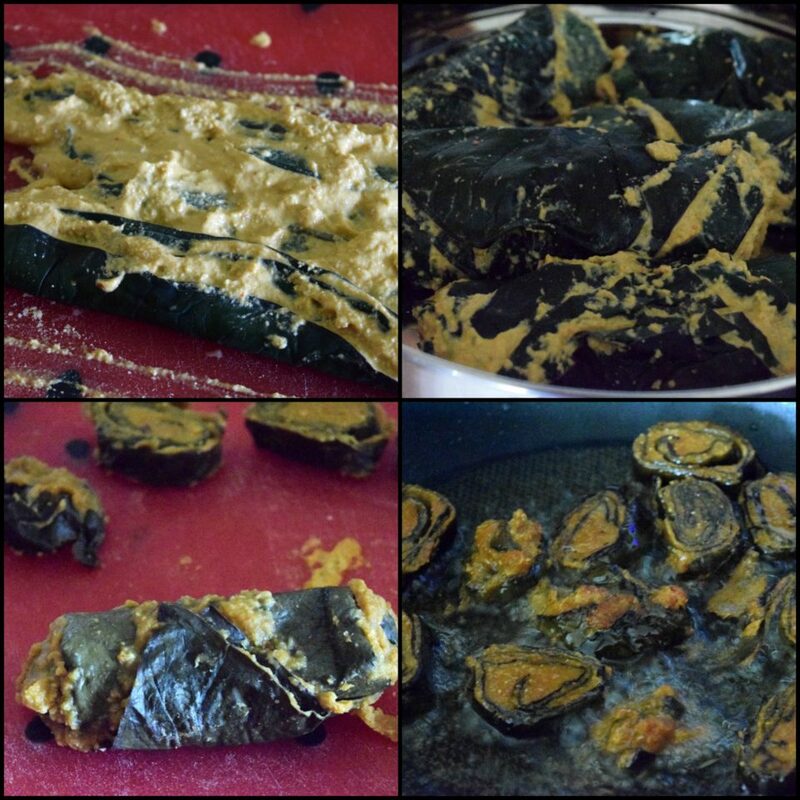 In a grinder, add coconut, coriander seeds, fenugreek seeds, cumin seeds, turmeric powder and jaggery powder. 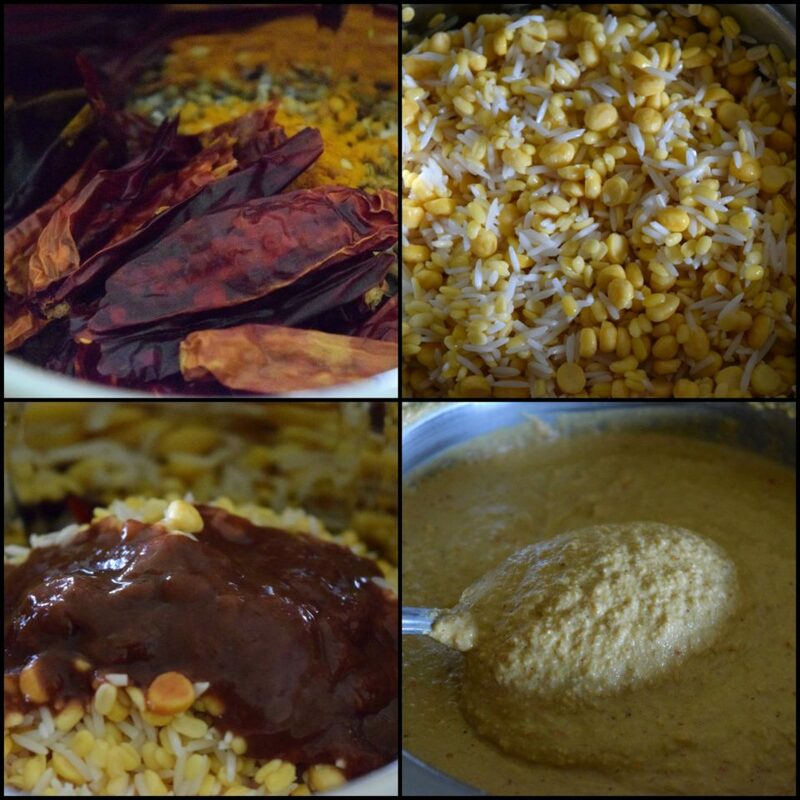 Then add dried red chillies, drain the water and add the rice and dal, tamarind pulp and salt. Grind this to a thick batter consistency. Do not add too much water when grinding. Now comes the interesting part. Smear the ground masala on the largest leaf. 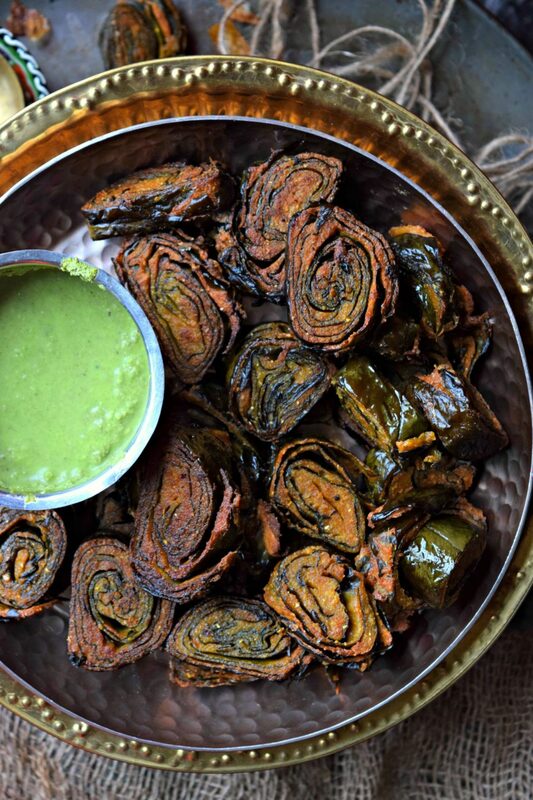 Place another leaf over it and again smear the masala all over it. Layer 3-4 leaves in the same manner. Fold the sides of the leaf towards the center and then roll along length of the leaves to make a roll. After it is rolled, smear some masala on top of it as well. Place it in a steamer and cook it for 10 minutes. Slice the rolled cooked pathrode evenly and shallow fry them golden brown. Serve warm. If looking for more snack ideas to make for your marathon binge watching, then you must check out these recipes – Chickpea Flour Mini Quiche Muffins With Leftover Pasta Sauce Filling, Grilled Tofu Bites with Dorot Basil, Paneer Chilly Cigars, Edamame Hara Bhara Kebab, Puff Pastry Samosa, Stella Cheese, Rice & Methi Kebab With Tater Tot Stuffing and Black Rice & Chickpea Fritters. Wow!! These look really great! I need to try this out.